HARLEM, Manhattan (WABC) -- Police are looking for a group of men wanted in connection with at least two robberies of delivery workers in Harlem. Around 10:15 p.m. on Feb. 22, a man delivering a pizza for Domino's walked into the lobby of a building on Edgecombe Avenue. 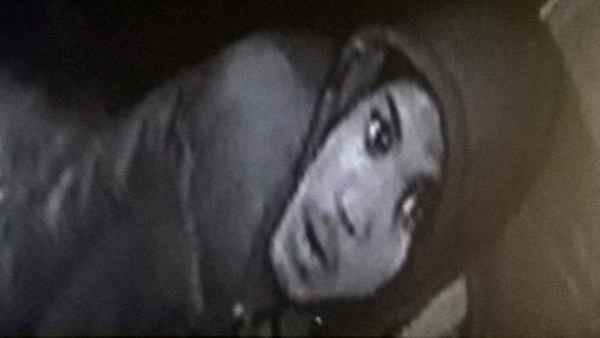 Once inside, five people walked up to him, and one demanded his property and punched him in the face, according to the New York City Police Department. A second man took the victim's cell phone and the pizza he was delivering. The other three men acted as lookouts, police said. One of the men fled the building while the other four ran inside. In another incident, at 2 a.m. Feb. 24, at the same address on Edgecombe Avenue, a delivery man for U & N Deli, arrived to make a delivery. Once inside the building's lobby, four men walked up to the deli worker, and one demanded his property and punched him the face, police said. A second man took $400 in cash, headphones and a cell phone. The others acted as lookouts. The individuals then pushed the victim into the building's elevator. One man (pictured) is described as a male, black, 18 to 20 years old, 5 feet 5 inches to 5 feet 6 inches. He was last seen wearing a dark colored jacket with a hood. The other four individuals (not pictured) are described as male blacks, 18 to 20 years old, 5 feet 5 inches to 5 feet 6 inches, all wearing dark clothing.